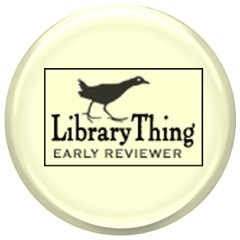 Reading Rumpus: A Plethora of Picture Books! A Plethora of Picture Books! Apologies for the lack of attention to Reading Rumpus, but work and school have this bibliophile overwhelmed. 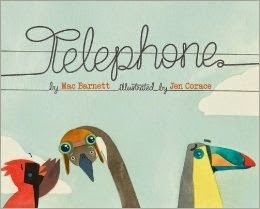 There have been so many wonderful picture books pass across my desk; I feel that I must mention them here. Unfortunately, I have not read them well enough to write a review with lesson ideas as I typically like to do on Reading Rumpus. Some are a few years old now, but better late than never! Bistahieversor and Zhuchengtyrannus. The creatures were strange, too, and many of the newly discovered ones caught scientists by surprise. Filled with engaging, lifelike illustrations by Xing Lida, Tracking Tyrannosaurs explains to kids how T. rex, the most famous, ferocious dinosaur of all-time was only one of many tyrannosaurs that lived on Earth for over 100 million years!" Publisher's Blurb: "The new National Geographic Treasury of Egyptian Mythology is a stunning tableau of Egyptian myths, including those of pharaohs, queens, the boisterous Sun God Ra, and legendary creatures like the Sphinx. The lyrical storytelling of award-winning author Donna Jo Napoli dramatizes the timeless tales of ancient Egypt in the year when Angelina Jolie will make Cleopatra a multimedia star. And just like the popular National Geographic Treasury of Greek Mythology, the stories in this book will be beautifully illustrated to bring ancient characters vividly to life. The stories are embellished with sidebars that provide historical, cultural, and geographic context and a mapping feature that adds to the fun and fascination. Resource notes and ample back matter direct readers to discover more about ancient Egypt. With its attractive design and beautiful narrative, this accessible treasury stands out from all other mythology titles in the marketplace. " Publisher's Blurb: "Robert (or Bert) thought he had his hands full when his mom and dad were palindromes. But now, his Grandma Reagan is in anagram danger! 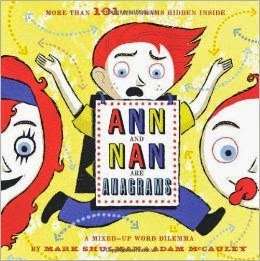 In fact, his sisters, Ann and Nan, and almost every other thing in his world, have become anagrams. Can Robert (or Bert) figure out the answer to his word dilemma—or is he fated to live a scrambled life? In this zany follow-up to Mom and Dad Are Palindromes, Mark Shulman and Adam McCauley have crafted an impeccably clever and wonderfully wild ride through the drag meow of anagrams, er, make that word game, of anagrams. 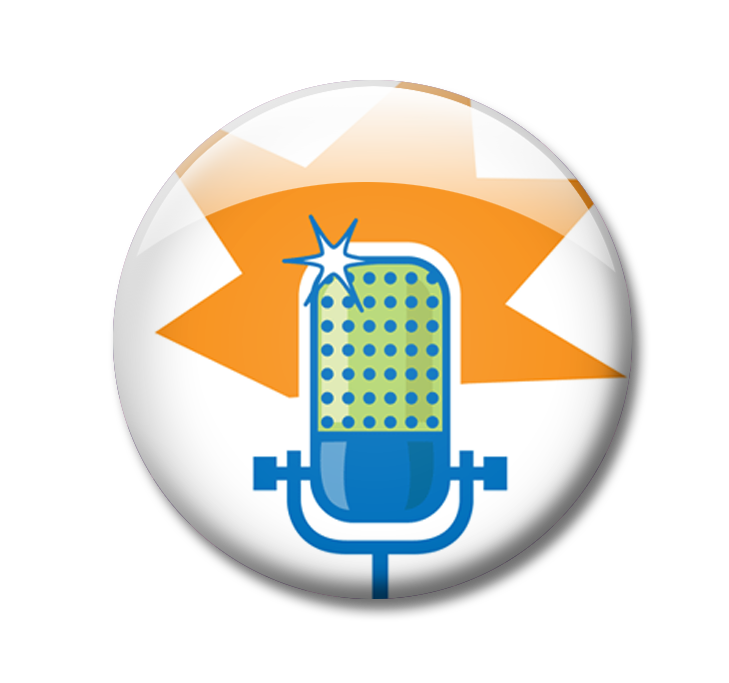 Sure to be a hit with teachers, it will have kids laughing and learning wherever they read it." Publisher's Blurb: "Count each one and many more while learning about the wondrous things that can happen in just one lifetime. This extraordinary book collects animal information not available anywhere else—and shows all 30 roosting holes, all 200 spots, and, yes!, all 1,000 baby seahorses in eye-catching illustrations. 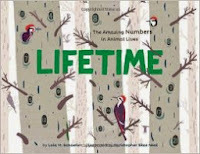 A book about picturing numbers and considering the endlessly fascinating lives all around us, Lifetime is sure to delight young nature lovers." Publisher's Blurb: "Nevermore brings one of America’s most enigmatic writers to the attention of a new generation of children. This intriguing photobiography examines the life and times of the author and poet who would have a huge influence on future generations of writers, poets, artists, and even songwriters. Poe pioneered the psychological horror story, the detective story, and the emerging genre of science fiction. Through his dark tales and unforgettable verse, as well as his literary criticism, he made major contributions to the development of the modern short story and modern poetry in America. Thanks to the translations of the French writer Charles Baudelaire, Poe also gained a wide audience throughout Europe. His work influenced not only writers, but also avant-garde artists, who saw in him a kindred soul. Karen Lange’s gripping narrative combines with the book’s vivid illustrations of Poe’s various haunts to create an atmospheric account of America’s most famous Romantic writer. The story shifts from his birth in Boston to Richmond, from Hampton Roads to Philadelphia, from New York City to his mysterious death in Baltimore. 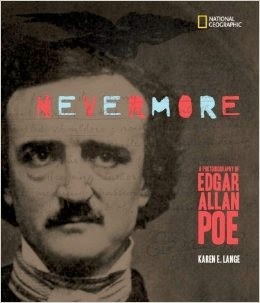 Nevermore is a rich appreciation of an American master, whose macabre tales of mystery took shape in tandem with his own strange and ultimately tragic life story." Publisher's Blurb: "Frank has no brother or sister to play with, so he decides to make one. He collects all kinds of junk and recycled materials and sets to work. 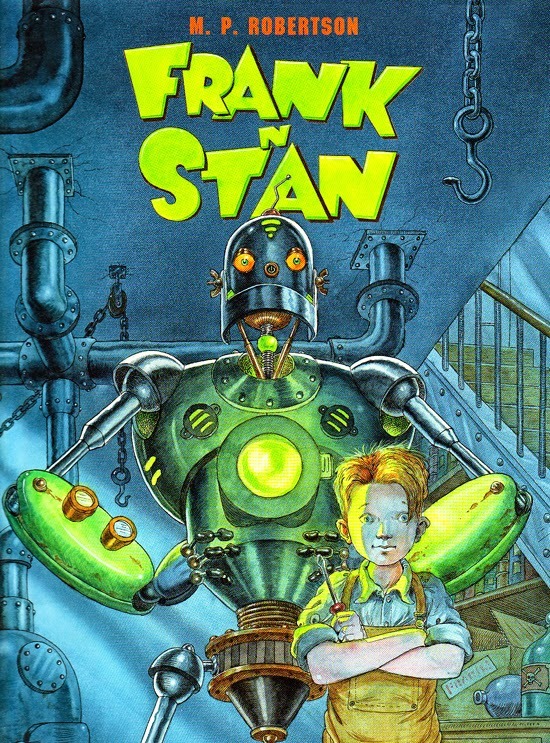 The result is Stan, a friendly and helpful robot who soon fits into Frank's family life. At first Frank and Stan do everything together, but when Frank's parents present him with a little sister, Stan begins to feel unwanted, and makes plans to leave . . . This is a delightful, comic adventure with much to say about family life, that will enthrall and engage children everywhere." Publisher's Blurb:"Acclaimed writer Joan Holub and Caldecott Honoree Melissa Sweet team up in this hilarious and exuberant retelling of Little Red Riding Hood, in which a brave, little red pencil finds her way through the many perils of writing a story, faces a ravenous pencil sharpener (the Wolf 3000)... and saves the day." 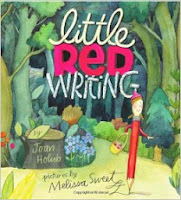 Publisher's Blurb:"Young Mekhai, better known as Bird, loves to draw. With drawings, he can erase the things that don't turn out right. In real life, problems aren’t so easily fixed. As Bird struggles to understand the death of his beloved grandfather and his older brother’s drug addiction, he escapes into his art. Drawing is an outlet for Bird’s emotions and imagination, and provides a path to making sense of his world. In time, with the help of his grandfather’s friend, Bird finds his own special somethin’ and wings to fly. Told with spare grace, Bird is a touching look at a young boy coping with real-life troubles. Readers will be heartened by Bird’s quiet resilience, and moved by the healing power of putting pencil to paper. 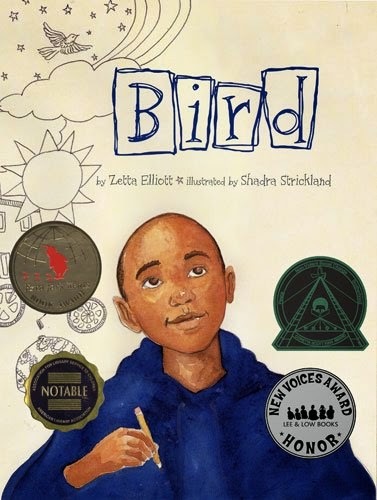 Bird, the recipient of Lee & Low's New Voices Award Honor, is the first picture book of both Zetta Elliot and Shadra Strickland." Publisher's Blurb:"Brown bear politely offers to surrender his den to nosy skunk Twelve nature-themed haiku accompanied by lush illustrations take the reader from January to December. 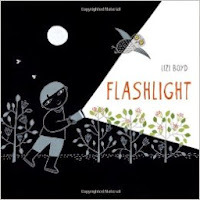 A great way to introduce children to the traditional Japanese poetry form." 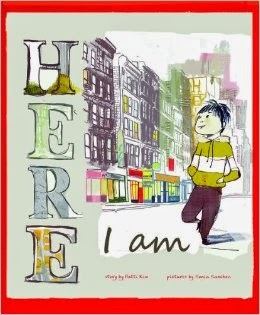 Publisher's Blurb: "In the best-selling tradition of This is New York and My New York, this delightful book-length poem spreads the wonder and joy that is New York, as told through the words of its children. As part of an unprecedented series of workshops, New York City public school students were challenged to write about what it was like to live, learn, and play in New York City. The poems were collected and edited into this book. Their words provide readers of all ages an honest, kid’s-eye view of the melting pot of cultures, ideas, and excitement found within the five boroughs of New York City. Masha D’yans’s beautiful illustrations complement the vivid descriptions of taking a taxi through Manhattan or a subway up to the "boogie-down" Bronx, the salty seas of Staten Island, passing the family-owned stores that form the backbone of Queens, walking through Brooklyn’s Botanical Gardens, and so much more. 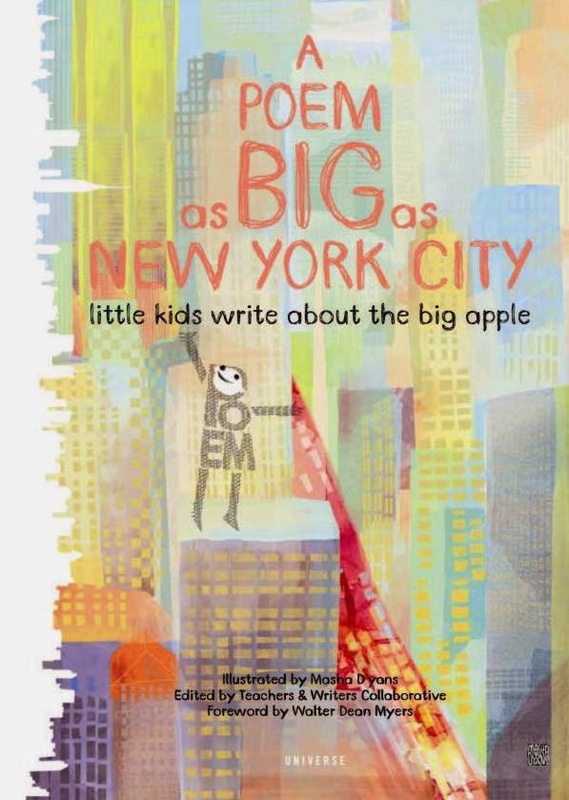 Lyrical, heartfelt, and bursting with imagination, A Poem as Big as New York City proves that a poem can be as vast and exciting as the greatest city in the world. " Publisher's Blurb:"Published on the anniversary of when President Abraham Lincoln’s order went into effect, this book offers readers a unique look at the events that led to the Emancipation Proclamation. Filled with little-known facts and fascinating details, it includes excerpts from historical sources, archival images, and new research that debunks myths about the Emancipation Proclamation and its causes. Complete with a timeline, glossary, and bibliography, Emancipation Proclamation is an engrossing new historical resource from award-winning children’s book author Tonya Bolden." 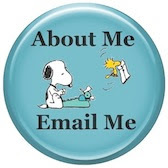 Publisher's Blurb:"Night after night, little Rufus Chandelier watches from the wings while the rest of his family puts on “the greatest show in town.” But Rufus isn’t quite big enough to be a part of the show. 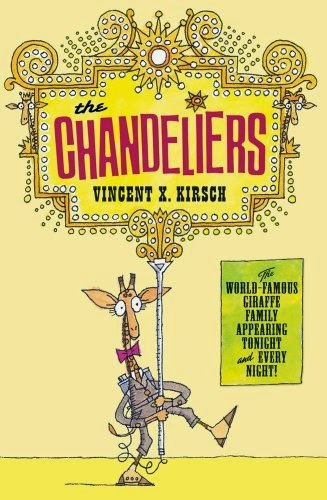 Until the night when everything goes terribly wrong, and it is Rufus Chandelier who makes certain that the show goes on. With winsome, colorful illustrations, Vincent X. Kirsch’s entertaining story shows that the greatest reward is simply the chance to help others—no matter how little you might be." Publisher's Blurb:"This laugh-out-loud funny and devilish send-up of Ludwig Bemelmans's Madeline is for little monsters everywhere. 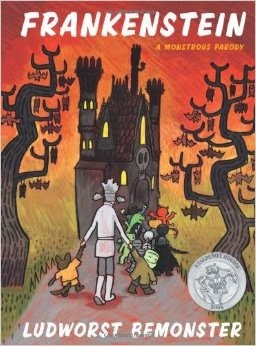 Frankenstein is the scariest of all the monsters in Miss Devel's castle. He can frighten anything--animals, parents, even rocks. Until one night, Miss Devel wakes up and runs downstairs to find that Frankenstein has lost his head!" Publisher's Blurb:"Barnum Brown's (1873-1963) parents named him after the circus icon P.T. Barnum, hoping that he would do something extraordinary--and he did! As a paleontologist for the American Museum of Natural History, he discovered the first documented skeleton of the Tyrannosaurus Rex, as well as most of the other dinosaurs on display there today. 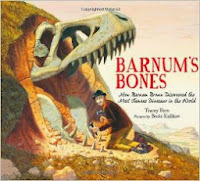 An appealing and fun picture book biography, with zany and stunning illustrations by Boris Kulikov, BARNUM'S BONES captures the spirit of this remarkable man." Publisher's Blurb:"Newly arrived from their faraway homeland, a boy and his family enter into the lights, noise, and traffic of a busy American city. The language is unfamiliar. Food, habits, games, and gestures are puzzling. They boy clings tightly to his special keepsake from home and wonders how he will find his way. How will he once again become the happy, confident kid he used to be? Walk in his shoes as he takes the first tentative steps toward discovering joy in his new world." Publisher's Blurb:"You never know when a best friend will be delivered to your doorstep. And that's just what happens to Andrew when a mysterious box arrives with a talking stuffed elephant inside! The two new friends set off on an adventure, climbing Mount Kilimanjaro, crawling through sun-filled savannahs, and exploring a deep, dark jungle. 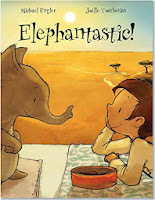 They're having an elephantastic afternoon together -- until Andrew's mommy interrupts. It turns out the box was delivered to the wrong address! It was actually meant for Louise, the neighbor upstairs . 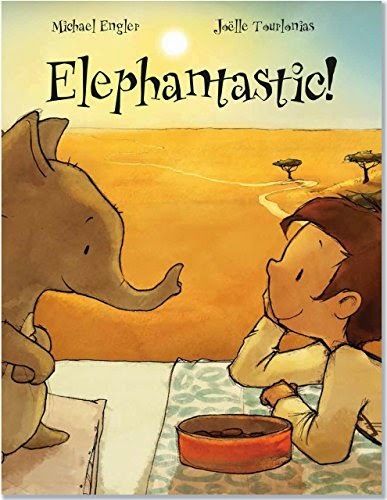 . . Michael Engler's charming tale, matched with glowing images by Joelle Tourlonias, make Elephantastic! 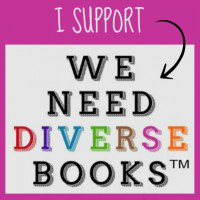 a story young readers will want to experience again and again." Publisher's Blurb:"Inside a tent it's cozy. But what is going on outside? Is it dark? Is it scary? Not if you have your trusty flashlight! Told solely through images and using a spare yet dramatic palette, artist Lizi Boyd has crafted a masterful exploration of night, nature, and art. Both lyrical and humorous, this visual poem—like the flashlight beam itself—reveals that there is magic in the darkness. We just have to look for it." Publisher's Blurb:"It's time to fly home for dinner! In this witty picture book from award-winning and bestselling author Mac Barnett, a mother bird gives the bird next to her a message for little Peter. But passing messages on a telephone line isn't as simple as it sounds. Each subsequent bird understands Mama's message according to its own very particular hobbies. Will Peter ever get home for dinner? This uproarious interpretation of a favorite children's game will get everyone giggling and is sure to lead to countless rereads." Publisher's Blurb:"In a little shop in a little town, lives a little mouse named Tabi. Each night Tabi tidies the shop, puts out new merchandise, and plays with his animal friends. But when, day after day, Tabi's best friend Max the Dog doesn't find a good home, Tabi realizes he has a bigger job to do. 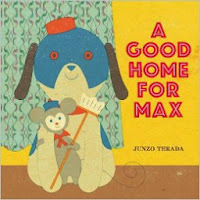 In this sweet, heartwarming picture book, celebrated artist Junzo Terada reminds us all that there's no place like home." 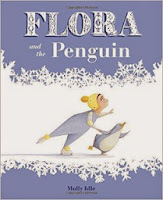 Publisher's Blurb:"Having mastered ballet in Flora and the Flamingo, Flora takes to the ice and forms an unexpected friendship with a penguin. Twirling, leaping, spinning, and gliding, on skates and flippers, the duo mirror each other's graceful dance above and below the ice. 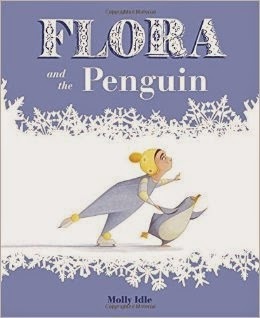 But when Flora gives the penguin the cold shoulder, the pair must figure out a way to work together for uplifting results. Artist Molly Idle creates an innovative, wordless picture book with clever flaps that reveal Flora and the penguin coming together, spiraling apart, and coming back together as only true friends do."